When redesigning a process, we must think through the implications for all aspects affected by the change. 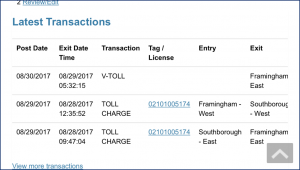 This article examines the impact of “open-road tolling” and how one critical aspect of the customer experience has been overlooked by Mass DOT. Recently, I began to suspect that the toll transponder in my car was not working. (Transponders are devices that allow us to pay tolls electronically.) Privacy nuts – and I count myself among them – have concerns about Big Brother, but the convenience outweighs those concerns for me especially since cameras are everywhere, including at tollbooths. When passing through a toll booth in Maine, the display sign flashed a yellow light with the message to call the service center. Yikes! My account is on automatic fund replenishment. Was my transponder not working? More importantly, why did it take a trip to Maine for me to learn this? I live in Massachusetts and drive tollways here in my home state. The transponder innovation sparked additional innovations in highway design, but no one rethought all the ramifications for the customer journey map. Transponders have been around for two decades, but only recently have highway designers leveraged them for more than just ease of toll collection. Why slow down to 10 mph to drive through a tollbooth? Because that’s the way we’ve always done it – and it would cost money to lessen the inconvenience. Finally, we see so called “open road tolling” for those with transponders – with the necessary merge lanes for safety. Massachusetts went one step further this year. My home state eliminated all tollbooths in October 2016. Don’t have a transponder? You’ll be billed using license plate photo recognition. But the designers missed something. The message boards at the old fashioned tollbooths told you when something was wrong with your account. Now they’re gone. How does one know if one’s transponder isn’t working? Apparently, no one thought about this. My trip to Maine raised the question for me as I passed through one of their outdated tollbooths. Logically, I went to my EZPass account to see what I could learn there. Like most people, I prefer the self-service through a website. Apparently Mass DOT doesn’t know their customers. First stop was the detail about my toll transactions. The screenshot of the nearby Latest Transactions page shows transaction codes for each toll. But what do those cryptic codes mean? V-TOLL ?? I don’t know – and they don’t tell me. DOT provides no documentation of their code structure. Thanks. I can guess what they mean – I think – but I might be wrong. I believe that V-TOLL means “visual toll.” But why should I have to guess? Hover text would be so useful here. Next stop was the EZPass knowledgebase for answers, using logical terms like “How can I tell if my transponder isn’t working?” The returned results were completely useless. The knowledgebase Mass DOT makes available to its customers is truly elementary, containing marketing bromides and truly basic information, no problem-solving information. Sad. Onto the customer service page. An email address is provided. I always prefer the asynchronous communication afforded by email versus listening to some onerous phone tree to then sit on hold. So, I sent an email. However, email proved useless. The service agent couldn’t tell me anything about my account transactions for security reasons. Why? Because the email account is a general email account. My message was not sent through a system that recognized I had logged into my account. 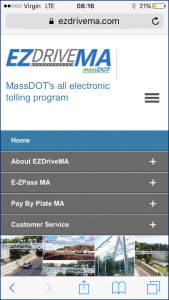 Mass DOT doesn’t have a basic contact management system to facilitate and track customer service interactions. My only recourse was to call. Yes, after wasting my time trying to answer my own question, I was forced to use the most expensive contact channel for Mass DOT – and me! What a waste, meant in the Lean Six Sigma sense. The answer: it appears the unit is not functioning and I have to either bring it into a service center and mail it. They can’t just ship me another one. If You Can Automate Tolling, Why Can’t You Provide Proactive Warnings? Here’s the truly silly thing. 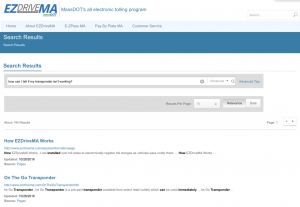 Mass DOT has all the information needed to proactively tell motorists that their transponder isn’t working. 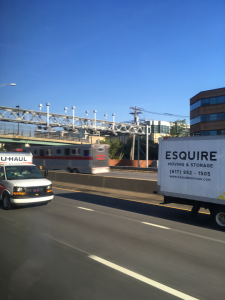 Transponders are linked to one’s EZ Pass account with specific registration plates. If they have to record a transaction using a photo of the license plate for accounts that have transponders – bingo! – the transponder isn’t working. Notify the motorist after this happens 2 or 3 times in a row! Rocket science this is not. Logic it is. And good customer service it would be. This problem is going to get worse and worse. My transponder dated back to 2001. Lots of transponders are nearing end of life. And no one will know until Mass DOT assesses them an administrative fee for not having a working transponder. Any complaints to Mass DOT for such a charge will be fully justified. Consider ALL the implications of a change in process. While eliminating tollbooths is wonderful, no one apparently considered the value of the message boards, now lost. Is this news to Mass DOT? Well, aside from a generic contact form on the website, they appear to have no active feedback mechanisms in place. Furthermore, I communicated these concerns to the Secretary of Transportation in a postal letter. I got zero response. Supposedly, Governor Charlie Baker wants to instill a customer focus in state government. Clearly, there’s a lot of work to be done. I won’t hold my breath. If the people at the top of the org chart don’t understand customer focus, it will never happen on the front line. Addendum. 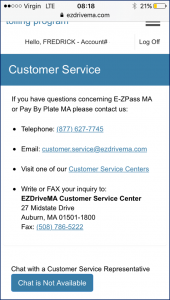 I have to include my exchange with the service agent for EZPass. I asked him if there were special instructions for shipping the unit. After telling me to wrap it in aluminum foil to prevent transmissions while in shipment, the agent said I should go to the post office and “ship it the free way.” (sic) I thought he meant by “highway,” meaning ground shipment, but this agent actually thought that the post office shipped stuff for free!